In July 1995, entrepreneur Jeff Bezos opened a new kind of bookstore. Inspired by recent leaps in modern technology, Amazon.com opened its doors to a different kind of consumer, set to the discordant soundtrack of the 56k modem. The concept followed the familiar principle of the mail-order catalogue, an accessible list of titles and cover artwork, enabling ‘browsers’ to shop from the comfort of their own home. But Amazon.com became one of a new generation of retailers, eschewing the expense of the printed catalogue in favour of an interactive online presence. As its consumer base continues to grow, online mail-order companies have become big business. Since 1995, the Amazon founder has been featured on the cover of Time Magazine and sells everything from light fixtures to baby clothes. A UK-based online bookstore, The Book Depository, offers browsers the opportunity to see consumer orders as they are being made, via an interactive online map. Even the traditional bookstore, from Waterstones to Oxfam, holds a strong online presence – with many deeming to provide computer terminals in-store for browsing customers. Up until recently, the only thing that has remained static is the books themselves - but perhaps not for long. The last five years have witnessed an increase in demand for electronic books and periodicals. 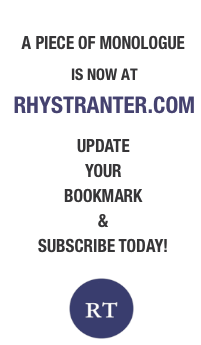 It has been driven, in part, by the creation of a new kind of consumer, ecologically-aware and in constant search of convenience: even those of us who remain skeptical, even hostile, to the e-book are probably tempted by some kind of non-print format from time to time. But it is also worth considering the status of the book as a printed commodity item in a struggling global economy. Publishers from Penguin to Quercus all ensure a strong connection to the online literary community. Faber and Faber publish an interactive online blog to keep readers up-to-date on news and events. And, among independent publishers, there are companies who use online subscription as a major source of income: Electric Literature is a promising, and sustainable, example of this. As reader habits are changing, so is our definition of the book, and indeed of literature itself. 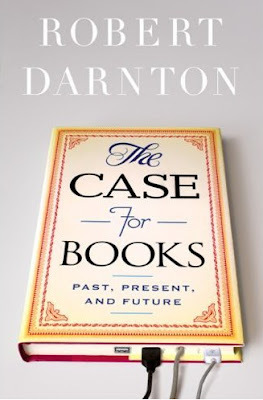 Darnton remains cautious of the electronic format as a publishing medium, and raises concerns about the corporate administration of digital libraries and archival resources. One might weigh the removal, replacement or destruction of original hard copies against greater electronic accessibility. But is this necessarily the case? Darnton questions the legitimacy of the claim, and wonders whether corporate ownership might in fact limit public access to important literary and historical texts. Could a greater reliance on digitization become a barrier to future scholars? Is the age of the printed book coming to an end? I suppose we will just have to keep reading. But Darnton has all bases covered: The Case for Books is available in hardback, paperback, audiobook and electronic editions.